Good Practice focuses on the language and communication skills that doctors need to make consultations more effective, using five elements of good communication: verbal communication, active listening, voice management, non-verbal communication and cultural awareness. 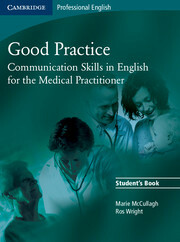 The course teaches learners how to sensitively handle a range of situations such as taking a patient history and breaking bad news, as well as preparing doctors for dealing with different types of patients.Good Practice demonstrates the impact of good communication on the doctor-patient relationship and enables students to become confident and effective practitioners in English. 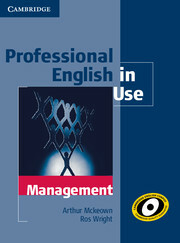 A must have for MBA students and professional managers who need to use English at work.